The View from Israel. : Israeli Election Shock Prediction. 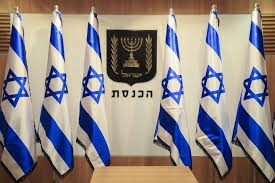 Israel is a country with eight million prime ministers. Everyone has an opinion. Just walk past any coffee shop and you’ll see a gaggle of people raising their voices. Everyone knows better than anyone else how to solve the country's problems. The ones that shout the loudest think they know best. They are right about everything and the politicians are idiots. In Israel, it seems, everyone with an opinion has a political party. The result is that in 2019 we have the nightmare of 40 parties competing in this year’s national elections. Forty! We have a democracy on steroids – but that is not good for democracy. It’s all about opinions and egos. Orly Levy Abekasis is, or was, a competent parliamentarian. She is the daughter of a former Foreign Minister so she knows her way around the block. And yet she wasn’t prepared to subordinate herself or her small party to a larger one. The likely outcome is she is unlikely to cross the threshold of 3.25% of the total vote to gain a seat in the next Knesset. Another is Avigdor Liberman, the former defense minister who led his Israel Beitainu party to dizzying Heights and then into oblivion. His party is also on the threshold of dropping out of the Knesset at the time of writing this piece just a day before the election. As at this morning, the trend seems to show that the Blue & White Party has regained a lead over the Likud of 4 seats – 30 to 26. B&W seem to be taking votes from Zionist Union on the left and Likud on the right. But the Likud and an assortment of right wing parties retain a small majority. So we could end up with Blue and White gaining most seats yet unable to form a majority government. To make things even more complicated, should Blue & White widen their gap on Likud by a couple more seats they could deprive the Likud of forming a right wing majority, yet be unable to form a majority government themselves. Don’t forget that B&W have said they want to be center-left and they wouldn’t bring in hard left Meretz or the Arab parties not for any racist reason but because the Arab parties have proven themselves in the last Knesset to be anti-Israel rather than a loyal Israeli party representing the best interests of their constituents. This is one of the reasons why so many Arabs have said they will probably not vote this time, or will vote for one of the non-Arab parties. So what do we have left. We have B&W as the biggest party unable to form a center-left government, and we have the Likud unable to form a center right government. That leaves us with one other choice. That B&W form a majority government in a coalition with the Likud. This would seem to be an ideal marriage. The two main parties at the center of Israeli politics having a large majority with the addition of a couple of reasonable pragmatic parties. But that won’t happen because Ganz and Lapid, two of the four leaders of B&W have said they would never enter into a Likud coalition with Benjamin Netanyahu facing possible indictments. But even if they did, we are back to the matter of egos. It is difficult to see Bibi, knowing his dominant personality, agreeing to play a subordinate role for himself and his party to the controlling influence of Blue & White. We will have a stand off. So the result of the 2019 Israeli elections could be no result. No workable government! This may be a shocking prediction but it is one that is based on latest trends and the promises made by the politicians to the voters. We could be heading into a caretaker government tasked to organize a further round of elections six months later. To complicate things further for Israel, we could have the Trump Administration dump their much awaited peace proposals onto Israel making the next round the peace elections. What would prevent my shocking prediction of no-outcome in these April elections from coming true? One would be a majority government led by either Blue and White or the Likud with a bunch of other parties, but the polls just two days ahead of election time do not show this possibility. The other would be if Blue & White and Likud do form a coalition, but that means that both sets of leaders would have spent the 2019 election campaign lying to the Israeli voters. So what’s new in politics? Barry Shaw is the International Public Diplomacy Director at the Israel Institute for Strategic Studies. He is the author of ‘Fighting Hamas, BDS, and Anti-Semitism,’ ‘BDS for IDIOTS,’ and ‘1917 From Palestine to the Land of Israel’ available on Amazon and at Steimatzky bookstores in Israel. Excellent piece! But you left out the most important element. In the scenario you predict, and I agree with you, will step in Moshiach! Moshiach will not be revealed when all is neat and tidy. He will step into the balagan! I need to buy some kevesim.